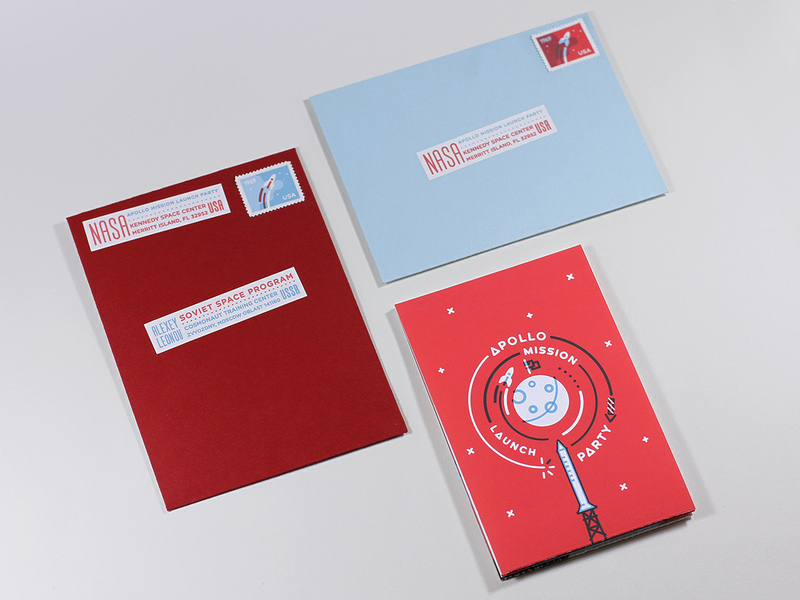 Apollo 11 is a fictional invitation to join the celebration of the Apollo’s Moon Landing. 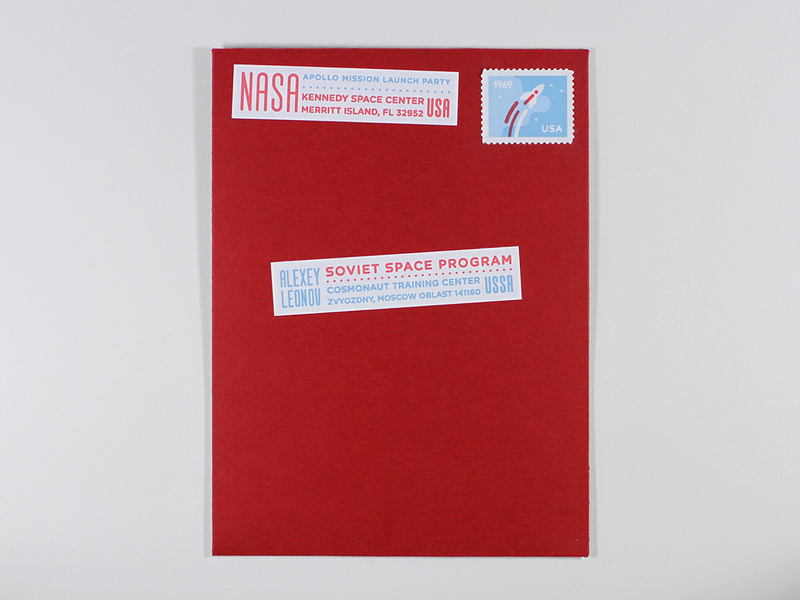 The invitation is made in a form of a folded space rocket, in which there is a party. The rocket I used for the illustration is actually the Saturn 5, which had four stages. The four stages of the rocket correspond to the four stages of the celebration event’s timeline. The front of the invitation contains all the logistical information about the event, and the back features the timeline. 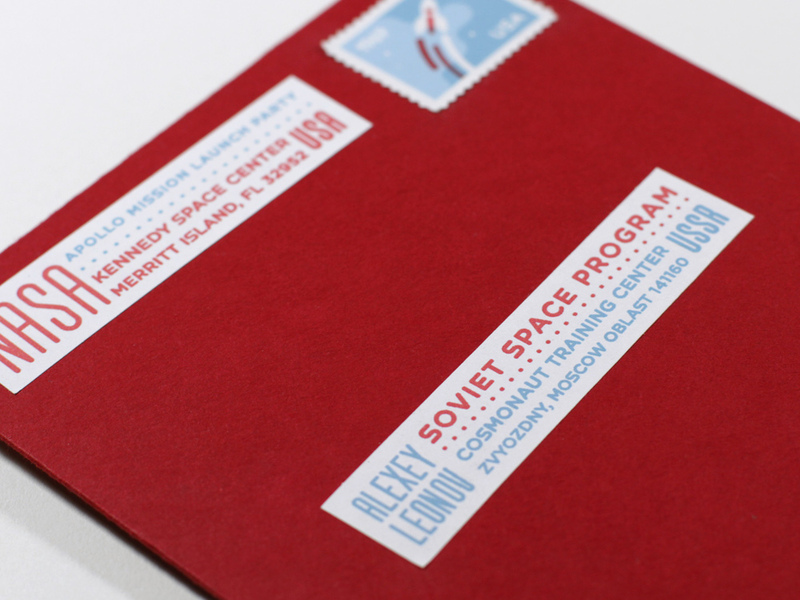 I also created a custom made envelope, featuring a custom closure that references a flying path of a rocket making a loop behind the Moon and returning to the Earth.